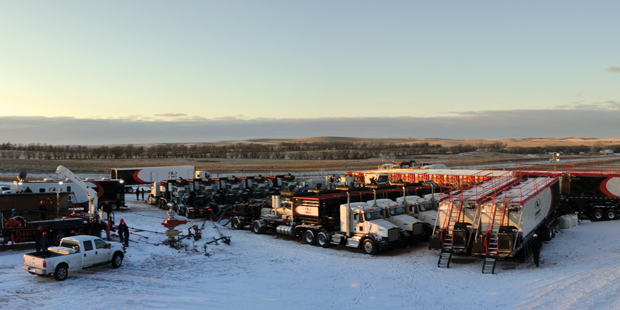 This Liberty Oilfield Services frac fleet is operating in North Dakota’s Bakken. The company has been able to complete wells greater than 10,000-ft deep in this region using northern white sand and attributes this to significantly increasing the amount of sand pumped into wells. Whenever possible, North American operators are switching to lower-cost proppants to cut completion costs. Amount of sand proppant pumped per horizontal well in the US Lower 48 has increased by 210% since 2011. 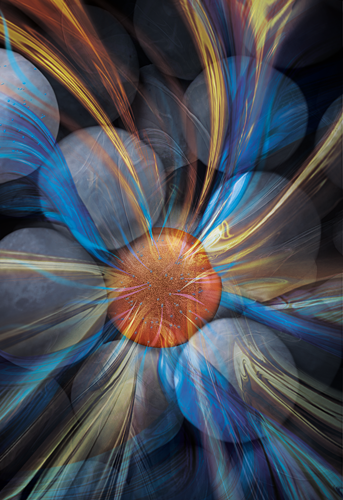 New innovations include polymer coatings that improve proppant transport, ceramic proppant that reduces scale buildup and far-field traceable proppant. 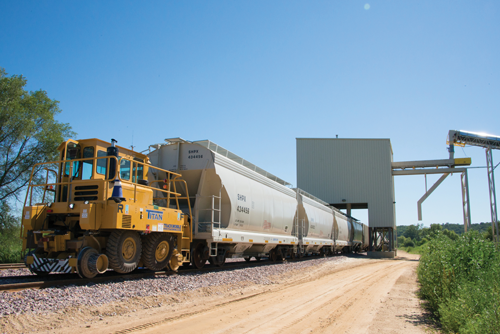 North American operators are turning to locally sourced sands as a way to reduce proppant freight costs. 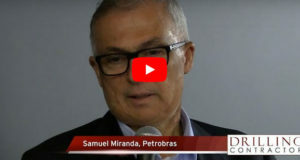 “Companies are buying the cheaper sand either because they believe that there’s not enough impact on production to warrant additional costs of white sand, or because they simply have to lower up-front costs, sometimes even at the expense of sacrificing long-term production to complete wells,” Samir Nangia, Director of Consulting within the IHS Energy Insight group, said. 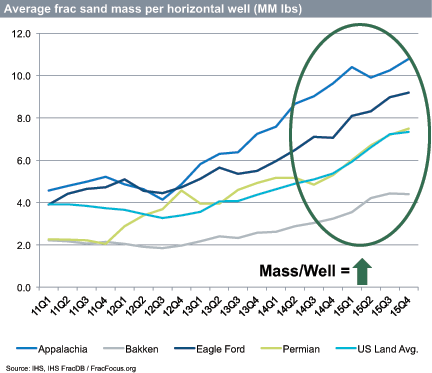 IHS data shows that average frac sand mass per horizontal well in the US onshore market increased by 24% in 2015. Much of the increase is attributed to increasing well lengths in the Appalachia, Bakken, Permian and Eagle Ford. In fact, 35% of total sand proppant demand is now locally sourced, according to ProppantIQ, a proppant market analytical service from IHS. Local sands, however, typically score lower on crush strength, roundness and other key metrics than the industry’s standard sand proppant – northern white sand. Northern white sand is 100% Silica and typically mined in Wisconsin, Minnesota and Illinois. It still accounts for 65% of total sand proppant demand and is preferred for its higher quartz composition, which provides the desired higher crush strength. Other types of proppant that must undergo higher-cost manufacturing processes, such as ceramic or resin-coated proppants, remain niche markets. 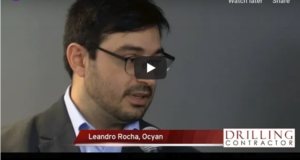 In North America, ceramic proppants now account for just 1% of all proppant demand, while resin-coated proppants account for 3%, according to IHS. “Ceramic usage is mostly in the Bakken, and frequency of use there is declining as activity moves away from the Middle Member Bakken play and into the Three Forks,” Mr Nangia said. Proppant demand in North America has dropped by approximately 50% since late 2014, even though drilling activity has fallen by approximately 70% in the same period. This is attributed to more sand being pumped into each well. 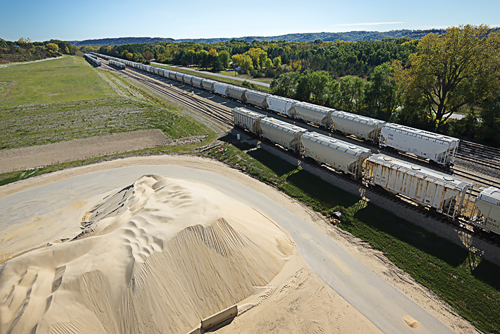 To reduce rail and trucking costs, Jordan Sands has studied locations of sand mines in relation to customer drill sites to better manage logistics. It has also increased rail-car sizes to maximize carrying capacity. So far, such efforts have resulted in a 15% reduction in sand production costs for the company. 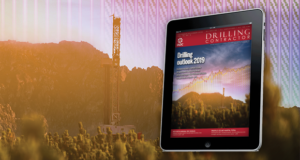 Regardless of the increased volumes used per well, total proppant demand has fallen in North America due to the significant drop in drilling activity. It will likely continue to fall until the market picks up. In 2015, North American companies used 100.7 billion lb of proppant, compared with 120.2 billion lb in 2014. 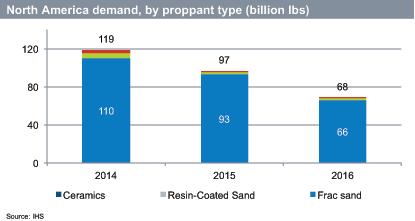 For 2016, Proppant IQ is predicting an additional 43% drop in demand, which equals 57 billion lb. Although cost reductions remain a core focus for operators and their supply chain, there is little that proppant companies can do to reduce the cost of white sand. Logistics is one of the few variables that companies like Jordan Sands can tackle for meaningful cost reductions. For example, Mr Sustacek said his company is studying the location of its sand mines in relation to customer drill sites in order to reduce rail and trucking costs. The company is also using rail cars to maximize the amount of proppant carried to the wellsite in each trip. “We’re trying to help them compress the supply chain and squeeze out excess cost wherever we can.” These changes have led to a 15% cut in sand production costs, Mr Sustacek said. Fairmount Santrol has seen locally sourced sand proppants gain popularity over the past couple of years. Northern white sand can be more expensive as it must be transported from the northern US to well sites in other regions. Some proppant companies are looking to boost business by increasing the value of sand through resin and polymer coatings. 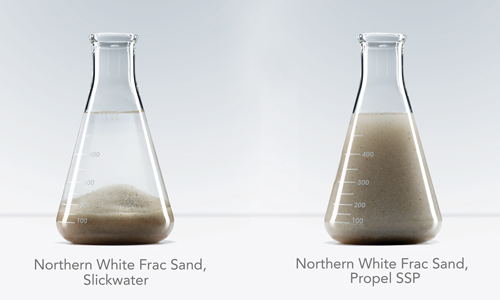 These coatings are applied to about 3% of sand proppant in North America, according to ProppantIQ. Fairmount Santrol, for example, uses resin coating to increase proppant strength and provide better proppant flowback control. The company also uses polymer coatings to help distribute proppant evenly throughout the well. In 2014, the company commercialized Propel SSP, a proppant transport technology, to help proppant particles flow into and fill fracs more evenly and efficiently at any pump rate. 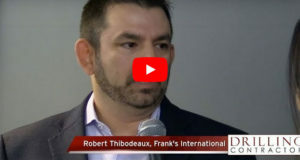 “The historical challenge is that companies either need to have very high pump rates or high viscosity to be able to transport proppant without it settling in the wellbore or duning just outside of the perforation when entering the fracture,” said Brian Goldstein, Fairmount Santrol Product Director. “When you’re able to transport proppant at any pump rate with a relatively low fluid viscosity, oil and gas operators can optimize frac fluid systems and achieve a more effective frac geometry.” After the proppant is placed inside the well, the polymer will break down and flow back to the wellhead, allowing the formation to close on the proppant. Fairmount Santrol’s Propel SSP polymer coating is designed to help distribute proppant more evenly throughout wells when pumped at lower pump rates. Historically, companies have been challenged to pump proppant at very high pump rates to avoid sand duning before the proppant enters the perforation. In the second half of 2015, Fairmount Santrol used the polymer coated proppant in a six-well field trial in the Three Forks and Middle Bakken formations in North Dakota’s Williston Basin. Independent operator Enerplus Corp compared the trial wells against five offset wells. These offset wells used typical northern white sand with a common crosslinked gel fluid system. The initial 90-day oil production of the trial wells increased by an average of 39% compared with the offset wells, according to Fairmount. The increase was attributed to more uniform proppant distribution throughout the wells’ pay zones with the use of the technology. Additionally, fluid additive consumption was reduced by 77%, primarily due to the elimination of viscosity modification additives, Mr Goldstein said. Pumping time was reduced by 14%, as the proppant was more efficiently placed in the formation. 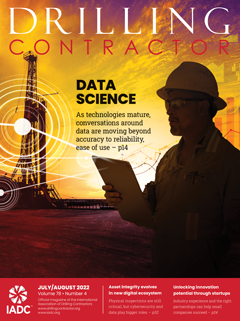 Liberty Oilfield Services, a Denver-based hydraulic fracturing company, has three frac fleets operating in the Bakken, two in Colorado’s DJ Basin and three in the Permian Basin. “With ceramic proppant costing several times more than natural sand, almost all completions taking place in the Bakken today have migrated to northern white sand from Minnesota or Wisconsin – the highest quality silica sand you can get,” said Ron Gusek, VP Technology & Development at Liberty Oilfield Services. 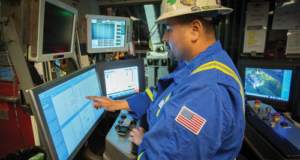 Liberty Oilfield Services operates one of its two frac fleets in Colorado’s DJ Basin. 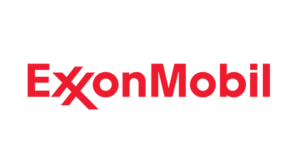 The company also has three frac fleets each in the Bakken and the Permian Basin. CARBO’s SCALEGUARD porous ceramic proppant is engineered with a controlled release technology to lengthen treatment life and reduce initial inhibitor washout. While ceramic proppants continue to fill more technically demanding applications, fewer companies are choosing these higher-cost options for onshore wells. According to Proppant IQ, North American onshore demand for ceramic proppants fell from 3.4 billion lb in 2014 to approximately 1.1 billion lb in 2015. This year, it’s estimated that ceramic usage will drop to about 600 million lb. 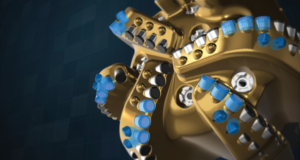 Despite this trend, technical innovations for ceramics are continuing, with CARBO developing a ceramic proppant that will inhibit scale buildup in fractures and even a proppant that can be traced inside the wellbore. 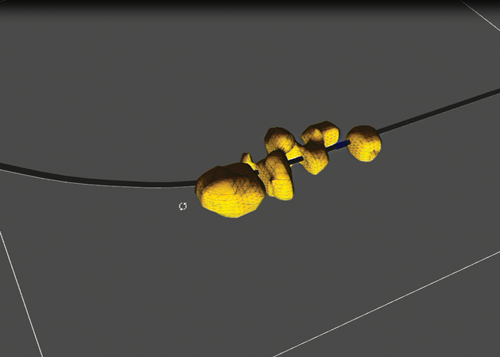 Operators commonly experience scale buildup in completions operations, when deposits such as barite or calcium begin to accumulate within the fracture, wellbore and surface production system. This typically results in a decrease in production. 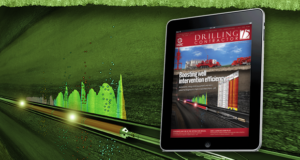 In most cases, an operator will periodically pump a preventive liquid scale inhibitor in an attempt to prevent these deposits at the fracture points or within the wellbore, but such methods bring mixed results. 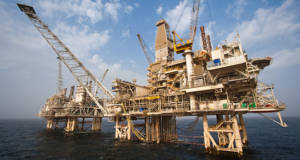 “If you have a horizontal well with 30 stages and you just start pumping chemicals down, it is not going to go in every stage,” said Terry Palisch, Director of Petroleum Engineering at CARBO. If scale buildup goes unchecked, production could become restricted and necessitate a workover operation. SCALEGUARD, commercialized in 2015, is a ceramic proppant infused with scale-inhibiting chemicals that are designed to be released over the life of the well. It can be blended with any proppant based on the completion design, according to CARBO. 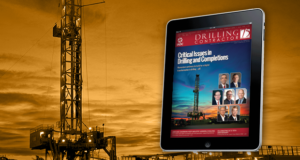 “If you can inoculate the well from the fractures, you can stop scale not only in the perforations but you can prevent it in the wellbore and entire production system,” he said. 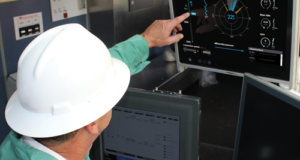 In mid-2014, an operator in Utah’s Uinta Basin used the technology on a five-well field trial in the Greater Monument Butte area. The operator needed to reduce carbonate and sulfate scale buildup due to the large volumes of produced water that commonly occur in the region that cause scale to form. Previously, the company had used liquid phosphonates and particulate-based inhibitors but found that scale buildup still occurred. 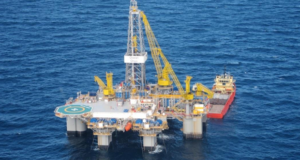 The five vertical wells were completed with a blend of SCALEGUARD and northern white sand, a combination that sustained production without scale restriction for an average of 690 days per well. In offset wells, other methods for scale prevention lasted only an average of 226 days before scale began to hamper production. CARBO’s quantified propped reservoir volume imaging is expected to be launched in 2017. It is designed to allow the operator to detect and visualize proppant location at distances far-field from the wellbore after it is pumped. Propel SSP is a trademark of Fairmount Santrol.